This week Jason talks to comedian, actor, author and Facebook user Mike Canestaro. They start off by wondering who won the US Presidential election because nobody seems to be talking about it. They talk about the release of Mike's new book called Not Making It, they went over the book in depth on Mike's last appearance that you can hear by clicking here. They talk about a man who wrote a one sentence long novel and won an award and ideas for Mike's next book. The National Toy Hall of Fame creates controversy by inducting bubble wrap which beat out Transformers and other actual toys for inclusion. 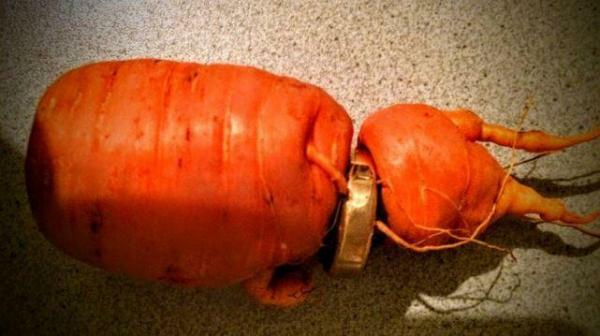 There's a company out there that can turn your loved ones ashes into a nice coffee mug and a German man finds his lost wedding ring on a carrot that he pulled out of his garden. Here's a pic. This week segment was a song called What About Me by Chad Neidt. Purchase Mike Canestaro's book Not Making It by clicking here. Subscribe to Chad Neidt's YouTube channel by clicking here. Like the Facebook page for Not Making It by clicking here.